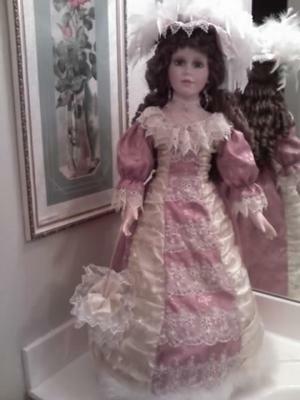 I have this doll, she was given to me as a gift. She's fairly new, but I cannot for the life of me identify her. There is a signature on her upper back, but I cannot read it. Looks like Drew something. She's really tall - probably 27 inches or more.